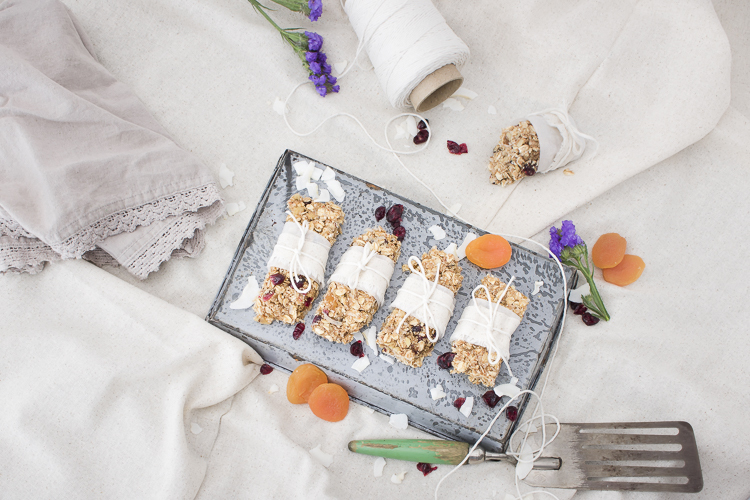 Gluten Free Granola Bars, loaded with oats, dried fruit, and walnuts with a touch of natural sweetness! Hi, Friends! 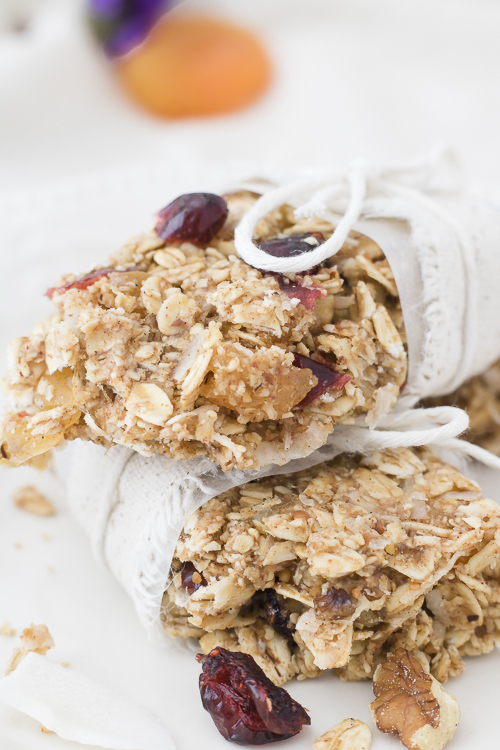 Today’s recipe for granola bars is quick, delicious, and back-to-school friendly! 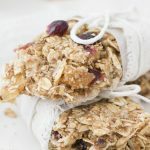 Who doesn’t love a granola bar? This version is gluten free, loaded with dried cranberries and apricots. A touch of sweetness from honey or maple syrup, your choice! And, a slight crunch from chopped walnuts. These are sure to be your kids go-to after school snack! 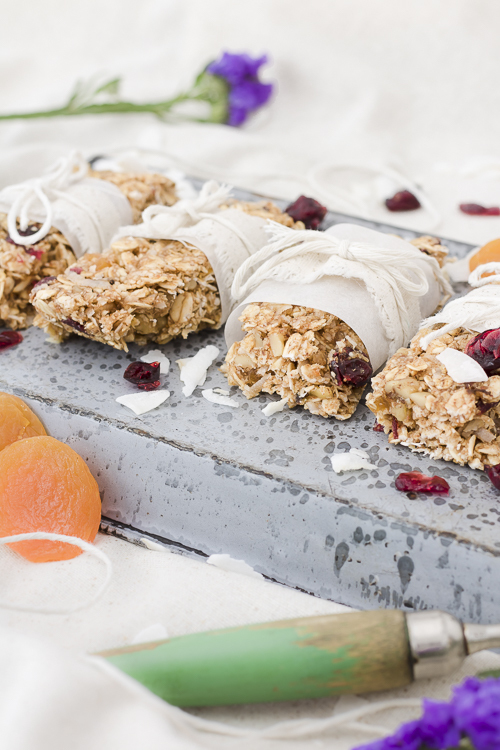 This recipe for apricot bars calls for oat flour. To make it, all you need to do is place your oats in a food processor and process until extremely fine, it will look just like flour! Line a 9x9 baking sheet or baking dish with parchment paper or wax paper. Set aside. Place 1 1/4 cup of the rolled oats into a food processor. Process until fine and resembles flour. Place into a large bowl. Mix the rolled oats, shredded coconut, cinnamon, salt, dried fruit, and walnuts in the bowl with the oat flour. In another bowl, mix the mashed banana, coconut oil, almond butter, honey (or maple syrup), and vanilla extract. Add wet ingredients to dry and mix until combined. Press this mixture into the bottom of prepared pan. Cover with plastic wrap. Place pan in the fridge for 1 hour. Cut into 12 equal bars. Keep refrigerated for up to 4 days. 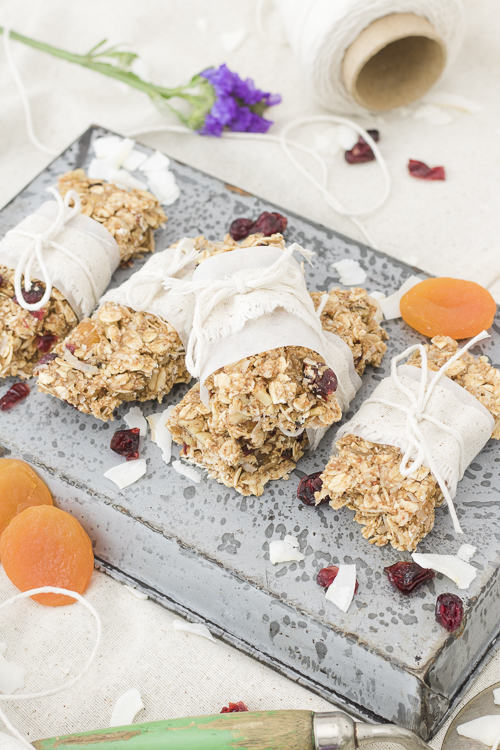 These apricot granola bars are so chewy and satisfying! Loaded with good for you ingredients, you can’t go wrong with these! One thing I really love about this recipe is you can mix it up for your own tastes. Don’t like apricots? No biggie, add chopped dates instead. What to go crazy and add a drizzle of melted peanut butter on top? Go for it! 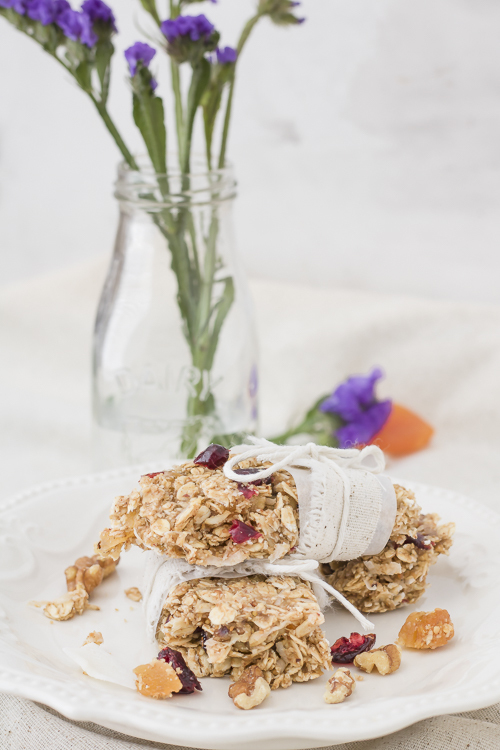 This is such a great base recipe for sugar-free granola bars, the possibilities are endless! What will be your favorite mix-ins? If you loved this recipe, make sure to check out my other yummies over at ThisSillyGirlsKitchen.com!